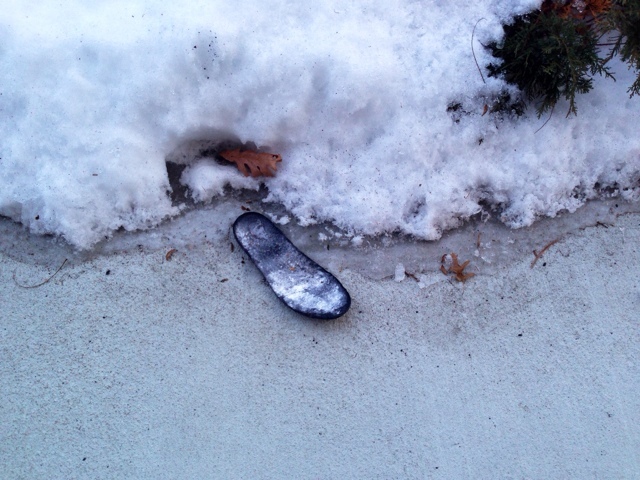 A lost, frozen sole found on the ground today. Not much of a story behind this one. I spotted it while walking towards the car.